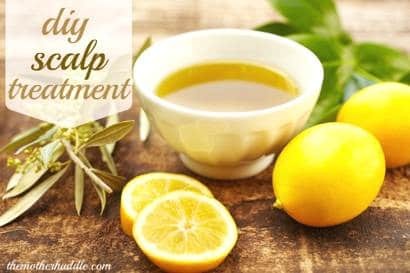 Among scalp treatment products, this is a favorite of the DIY and all-natural recipes. The primary ingredient is coconut oil and that in and of itself combats dandruff and dry and itchy scalp. Coconut oil also stimulates hair growth. This recipe from The Mother Huddle uses key essential oils along with the coconut oil for even better results. In addition to treating itchy scalp and dandruff, this concoction removes product build up and conditions the hair leaving it softer and more manageable. One thing that The Mother Huddle doesn’t mention is how to effectively wash out the coconut oil. It’s been our experience that if you get your hair wet and then apply the shampoo, you’ll have a difficult time washing out the oil in one wash. As a result, your hair may feel a bit greasy for a few days. However, if you apply shampoo to your oil-soaked scalp and hair before you wet your head with water, the oil will fully rinse out.